It's spring! Though I find it hard to believe out here where we've been greeted with rain, hail, snow and sunshine....sometimes all in the same day. How I long for outdoor patios and flip flops and beach picnics! But that's coming soon, right? And if you're in the other half of the country, the weather must be brilliant. Trust us, we're jealous. I decided to whip up some colourful sunshine in a bowl. 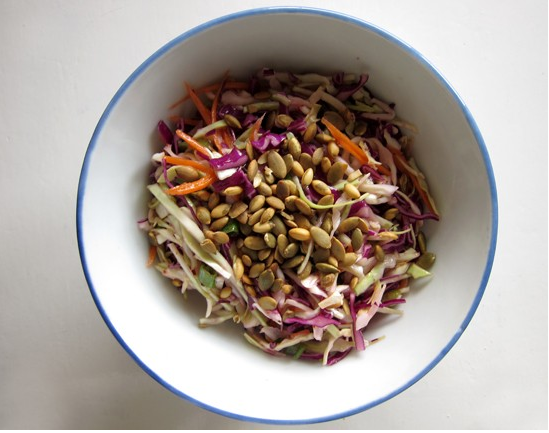 I'm calling this a sunshine citrus slaw because it's chock full of colour, citrus juice and it can't help but make me grin. Yes, I grin at coleslaw. Nothing wrong with that. The truth is, I've been pretty much making this salad every couple of days. My husband and I eat it up happily and we're not sick of it yet. 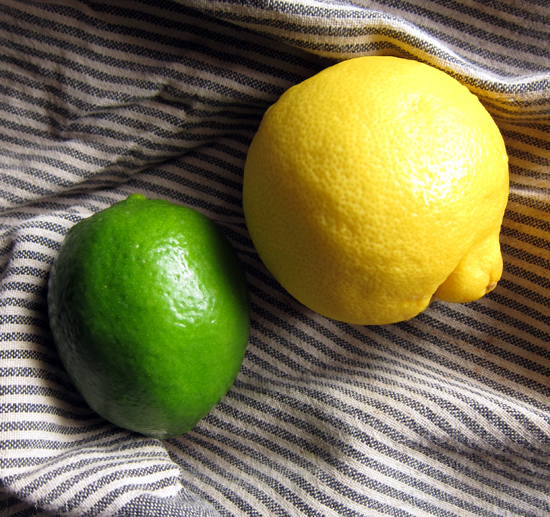 I've made this with just lemon juice. No garlic. All, equally delicious. His version includes raisins and pepitas as a topping. Mine, feta. And pepitas. And raisins. I like it all. 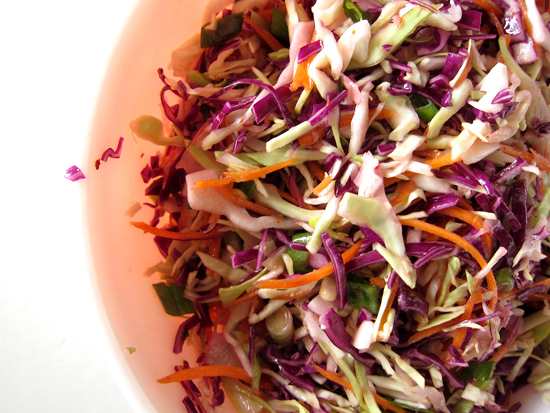 In a large bowl, toss together the cabbage, green onions and carrots until well mixed. 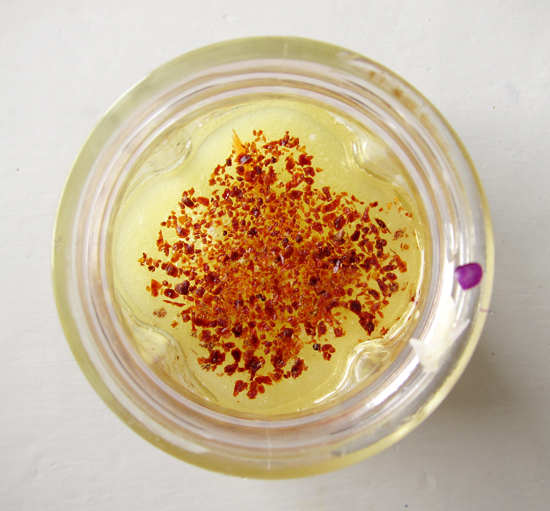 In a small jar, pour in the lemon and lime juice, oil, honey, garlic, aleppo pepper and salt. 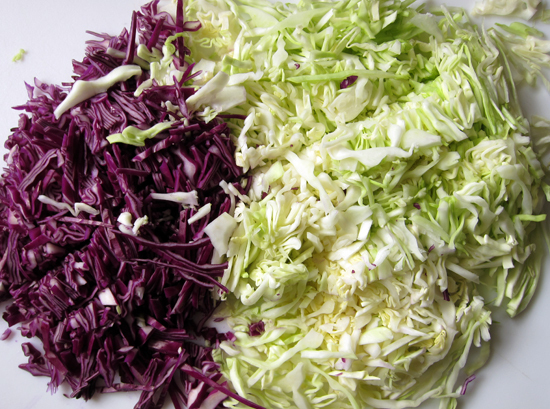 Give everything a big shake and pour over slaw. Toss well. 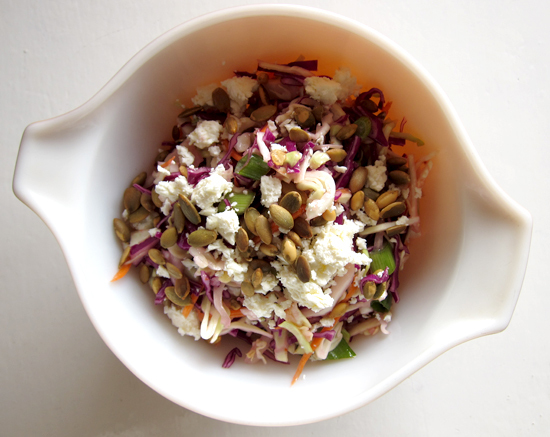 Serve in 4 bowls and top with pepitas and feta. Sprinkle with raisins if that's your thing. Oh, this looks so good. I know what I'm adding to my grocery list. Thanks! That is definitely sunshine in a bowl! I'm making this tonight. Thanks for another great recipe Jeannette! I HAVE to make this soon! It looks so healthy and delicious!